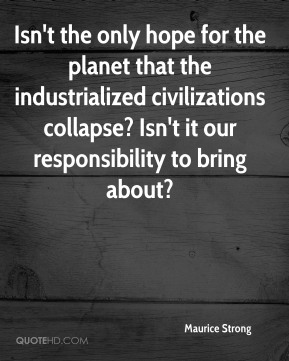 Isn't the only hope for the planet that the industrialized civilizations collapse? Isn't it our responsibility to bring about? 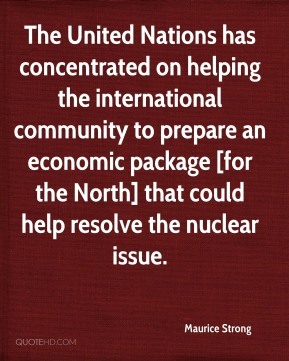 The United Nations has concentrated on helping the international community to prepare an economic package [for the North] that could help resolve the nuclear issue.